For over 65 years and 3 generations, Parkway Plastics Inc. (PPi) has been manufacturing BPA and Phthalate Free High-Quality jars and caps worldwide into a variety of different industries. Combined your ParkwayJars.com team brings over 258 years of experience at Parkway to the table, not to mention all of the other years of experience that they've picked up along the way. Parkway Plastics Inc. was proud to be a 2018 New Jersey Family Business of the Year Award Honoree from Rothman Institute of Innovation and Entrepreneurship. 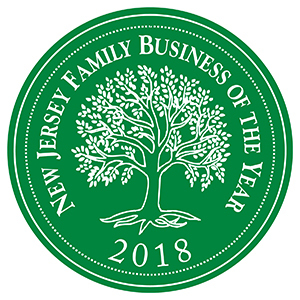 The New Jersey Family Business of the Year Awards recognize the significant contributions to the economy and community made by New Jersey family businesses whose innovative strategies and business practices have had a positive impact on the economy and on our society. You're in good hands. 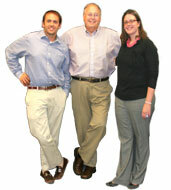 "We're not just a vendor; we're YOUR TEAM!" It means you're dealing with the same people every time you call into Parkway. We know you, we know your story, we know your business, and we're here to help. Our operators alone have over 22 years worth of experience qc’ing our products. They've been doing this forever so they know what to look for. But experience isn't enough. Continuous training is the key to staying ahead of the curve. All of our operators continually perform rigorous quality-control training. Our certified Foremen and Setup people care about their work and it shows in the quality of our product. We may not be the biggest manufacturer, but that makes us nimble. Our flexibility has continued to keep us far ahead of our competitors. We're also mighty. Over the past few years we have invested thousands into 11 new injection molding machines, new tooling equipment, and improvements into our plant, facilities and info structure. If there's a problem, tell us. If we can fix it we will, if we can’t we'll tell you. We'll always be honest about our capabilities because your success is our success. Through a system of internal and customer audits and continuous training and capital investments, we're constantly striving to improve our quality and our processes. We know we're a plastics manufacturer, but that doesn’t mean we can't do everything in our power to make sure that we're minimizing our carbon foot-print. Reducing. Recycling. Reusing. In 2011 we first made the commitment to going paper – LESS. Since then we have cut our paper usage by over 27%. We also have a strict Regrind Policy and we participate annually in the New Constellation Energy's Energy Market Load Response Program. At Parkway Plastics, we aim for sustainability in every possible way. We value a sustainable factory process and we are aware of the importance of choosing the right way to source and process material. We believe in regeneration, by re-using, re-grinding and re-cycling material. As a plastic manufacturer, we participate in The New Constellation Energy's Energy Market Load Response and we know that we need to look at the well-being of the planet instead of short-term profit.